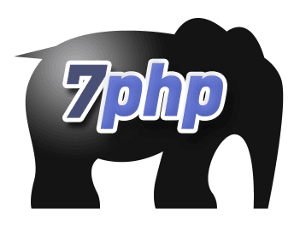 This is the #17th set of PHP Interview to help aspiring PHP developers and PHP fans alike to get inspired by listening from those PHP guys who are already highly involved into the PHP Ocean and being ‘there’ taming the waves and surfing better than ever to make themselves an Awesome PHP Expert both in their own eyes (for self-accomplishment) and for the PHP Community. On the other side, this is an opportunity for new PHPers to get to know their “PHP Elders“. I hope you will derive as much fun to read my interviews as I’m having by interviewing those A-List PHP guys. These days I’m a developer advocate for Google+, working out of the Google offices in London. Prior to that I had the pleasure of working with a lot of brilliant PHP developers on some interesting projects, and I have spoken at a number of conferences in Europe and further afield. Some of my main interests are in machine learning & search, and I’ve blogged (though not for a while!) about both over on http://phpir.com. I also maintain the PHP extensions for libsvm – a powerful machine learning library based around Support Vector Machines, and lapack, which is an excellent linear algebra library (though that extension is barely scratching the surface of the library so far). However, these days I spend a lot of my open source time around ZeroMQ – a brilliantly fast and easy messaging library, with bindings for every major language (of course including PHP). To be honest it’s a little hazy, but I believe it was while I was at university – I used to play a lot of Quake 3 online, and got involved with the leagues at Barrysworld, a “gaming service provider” – they offered the servers and various other bits and pieces for playing Q3, Counterstrike, that kind of thing. I ended up helping out a little on the CMS that powered some the league sites, which was a custom PHP app called Neville, which I believe was written by one of the Barrysworld guys. Trivia: I know at least one other PHP person came out of those leagues: [Ozh Richard @ozh] (http://planetozh.com/blog/), a notable WordPress plugin developer and author, and lead on the YouRLS URL shortener. For personal use I generally use a Vagrant basebox ubuntu VM, plus whatever versions are current in base for Apache and MySQL. I spend enough time messing with extensions I tend to have the latest version of PHP built from source with the debug flags turned on. For professional use my preferred option would be NGINX+PHP-FPM on a debian based distro, but I would say the majority of my projects have ended up being RHEL and Apache based, for various reasons. I’m not overly picky most of the time! The good part is definitely the speed with which you can get going. The fact that PHP is designed for the web just makes it incredibly easy to start building sites with. The documentation is also a massive benefit, it’s comprehensive, and backed up with a huge number of blog posts, books and tutorials. In general the fact that PHP is so popular means there are always people who’ve hit problems you have, and have written open source code or articles that cover your area. In general, the same as above. It’s also worth saying that beyond a certain level of experience, it’s less about being a PHP developer, and more about being a developer. The design and structure of software, the method of releasing and managing applications, the testing and verification of systems, all of these topics are general skills that transfer very well between languages, and are just as important as depth of knowledge in the language and framework being used. At the end of the day, the point where you type code into an editor is the tip of a spear, and it’s driven by all of the other skills and concepts that you build up over time. That’s difficult, as the language changes fast enough things go out of date quickly. and I really enjoyed [Derick Rethan @derickr]’s Date & Time book – it’s a slim volume, but very helpful if you are hitting timezone issues. For beginners, I’d recommend [Lorna Jane Mitchell @lornajane], [Matthew Turland @elazar] and [Davey Shafik @dshafik]’s PHP Master – it seems like the perfect introduction if you want to start off doing things right. [Chris Cornutt @enygma]’s [http://www.phpdeveloper.org/ @phpdeveloper] is a wonderful source for curated news and articles from across the PHP community – he puts a lot of effort into selecting the best stuff, and I’d highly recommend it to anyone developing in PHP. though – I’m always in awe of the guys that have mastered their editors of choice, and constantly intending to sit down and really do so. I tend to use XDebug and a lovely little mac client called MacGDBp – it gives you all the step debugging, breakpointing and so on, wrapped in a nice GUI package. For something extension or library related, I do use GDB on the command line a lot, and the joy that is valgrind. It is only fair to say that I am not above var_dumping out a bunch of stuff as well. I’ve used [PHPUnit @phpunit] a lot, and it’s certainly my go to library. [Marcello Duarte @_md] has been putting in a bunch of work on [ http://www.phpspec.net/ @phpspec] – and I would certainly take a look at that if starting a fresh project! It’s a BDD based framework, so it requires a slightly different way of working. Hard to pin it to one function, but there are some things which I think PHP does better than almost anything else. Streams, Datetime, filter_var and hash are all examples of really powerful functionality that is really easy to use, excellent developer experience. – they’re both excellent advocates for software quality and testing, and capable of sharing their ideas in novel and interesting ways, which is such a big part of getting them across. I try to go along to the [London PHP user group @PHPLondon] as often as possible – it’s a really great community with a lot of attendees each month and some fantastic talks. In August Dave Gardner spoke about distributed IDs, and I believe for September [Nils Adermann @naderman] is talking about Composer. The site for the group is http://phplondon.org, and it meets the first Thursday of every month. There’s a lot of mistakes to choose from! Many of them center around failing to check basic assumptions. For example, the other day I was building an application in Go on Google AppEngine. I hit a problem in development, and figured it might be because my version of AppEngine was out of date. I grabbed a new one, started playing around and immediately everything blew up! I checked through the stack trace and saw that it wasn’t setting up the Go environment properly. After about an hour of searching for various error strings and getting nowhere, I eventually twigged that I had downloaded the Python AppEngine build. Downloading the right one immediately fixed the issue. On that note I can strongly recommend the book Debugging by Dave Agans – the best guide to fixing stuff you’ll ever read! I’ve learned that a technical community can be warm, funny, exciting and unpredictable. I’ve learned that people will give up their weekend and evenings to explain something, fix something or help someone, and that there are people who will still give them a whole lot of crap for their trouble. I guess, more than anything else I’ve learned that the people who make a difference are the ones that show up and stick it out. If we’re talking wild, blue sky, throw logic to the wind type changes, I’d have the string and array search functions use the same haystack, needle parameter order. very powerful, and not as universal in software engineers as it could be. That’s an incredibly tough question! Each conference has it’s own flavour, reflecting the local community and the organisers’ intents, so it’s often a bit of an apples to oranges comparison. Given that it’s right on my doorstep I have to give some love to the [PHP UK conference @PHPUKConference], which is in London every February and has been getting better and better every year, and also to [PHP Northwest @phpnw], which is the next PHP conference I’m speaking at and is always a really great time – that’s coming up in October, in Manchester. The good is undoubtedly hanging out with smart people, getting to know developers from all sorts of different companies and backgrounds, and getting to share some thoughts with other people. The downside is usually spending time in airports on the way too and from. Other conference failures are usually my fault – such as misjudging the footwear required given the snow in Montreal at Confoo one year! It’s the exposure to a diversity of ideas. It only works if you actually hear those ideas though, so it’s important when at conferences not only to go to the talks, but to speak to people in the breaks and around the sessions as well. Try to go to some sessions that don’t seem like they’re relevant or that valid for you, or that you have no idea about – they’re they ones where you might learn something new that gives you a great tool for the future. In general, it’s hard to fully grok something at a conference, so you just want to be a sponge collecting as many new concepts and tools as possible for more investigation later. Pretty badly! I am a big fan of the Getting Things Done system, but one thing I have realised is that knowing what you have to do next is not the same as actually doing it. That means if you get in the mood to do something, it’s well worth taking advantage of that and getting as much done as you can. The other thing is just creating a space to focus – don’t try and worry about doing too many things at once. A half hour of quiet time in front of a computer without email or social networks is worth 3 hours on the sofa with a laptop in front of the TV. I doubt that I’d fall into anyone’s “A-list”, but I do remember the first time someone told me they had built something after seeing me speak about it – there is very little more satisfying than seeing ideas you’re interested make a difference to someone. I’m always massively grateful to the people who come along to a talk or read something I wrote, because they’re giving an idea a chance. I don’t think anyone really falls into a successful/unsuccessful bucket like that. There are always people who write better code, or make more money, or are better known than you. When I look at the people who have been doing this a long time, the thing that strikes me is how much they’re still interested in new things, still looking for challenges, still willing to put in work to get things done, and still, generally, having fun!